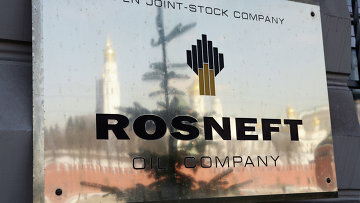 Rosneft subsidiary CEO appeals detention in bribery case | Russian Legal Information Agency (RAPSI). MOSCOW, September 15 (RAPSI, Lyudmila Klenko) - CEO of Rosneft oil company’s subsidiary RN-Sakhalinmorneftegaz, Andrey Bardin, who stands charged with commercial bribery in the amount of 1 million rubles ($17,500), has filed an appeal against his detention, spokesperson of the Tagansky District Court of Moscow Yulia Sukhinina told RAPSI on Friday. On September 11, the court ordered detention of Bardin until November 9. During the hearing, the Rosneft subsidiary’s CEO pleaded not guilty to corruption. According to investigation, RN-Sakhalinmorneftegaz CEO Bardin has conspired with a group of people to illegally obtain the money. On September 9, the defendant received 1 million rubles from a representative of one of companies in Moscow. Allegedly he promised a briber not to create obstacles for his company’s participation in a tender.